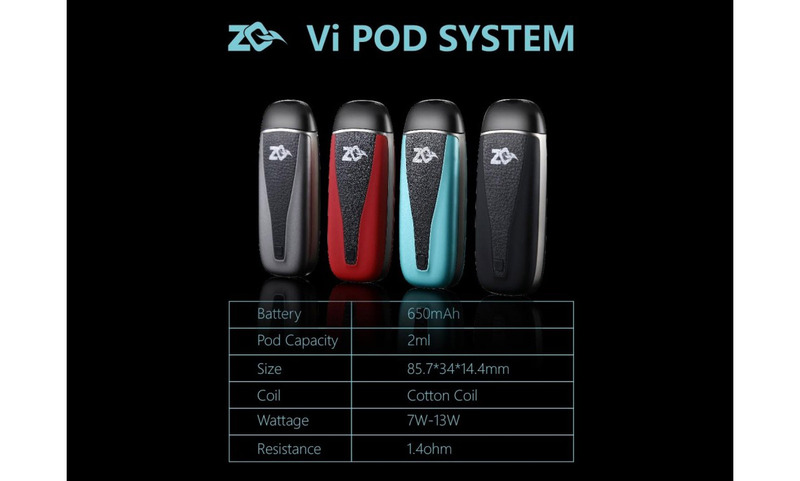 ZQ Vi Pod System Kit is the first kit that uses CSA technology (cellular spiral airflow), which guides the airflow through a piece of honeycomb mesh to hit the 1.4ohm organic cotton coil. This process creates a sufficient atomization effect so as to bring you ultra great and smooth vaping. ZQ Vi Kit has 650mAh built-in battery, and it has 2 different modes, 3.5V constant voltage mode and 4.2V direct batttery output full power output mode. Designed with air switch, it has a manual key for you to operate it. Besides, its 2ml magnetic pod cartridge satisfies your needs to vape general juice, CBD oil and nicotine salt, and it won't cause leaking problem. Either Puff activated or button activated! You get to choose! Check out Sherlock Hohm's review in which he puts the ZQ Vi in his top three pods!